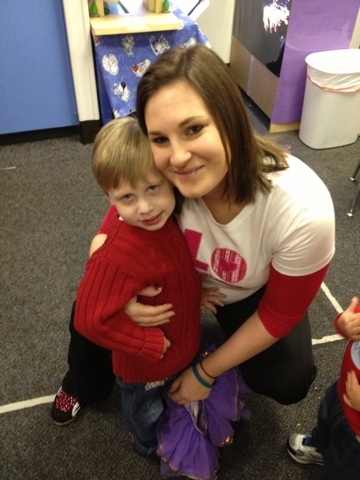 Bennett Brinson Gamel: Fighting Cystic Fibrosis: Happy Valentine's Day!! One of the things that made my day most special today was getting to visit my little loves at their school Valentine's Day parties. Happy Valentine's Day from our hearts to yours!!! 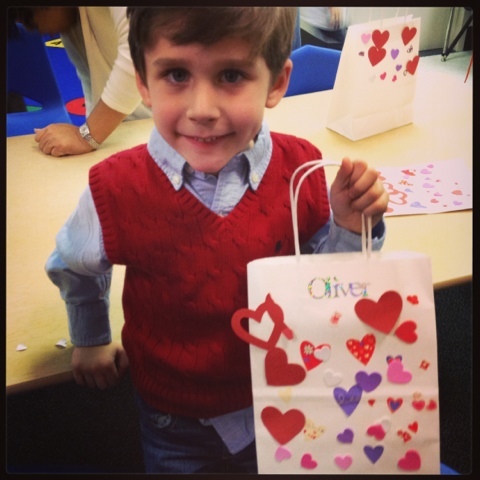 Oliver made his bag at school during their party. 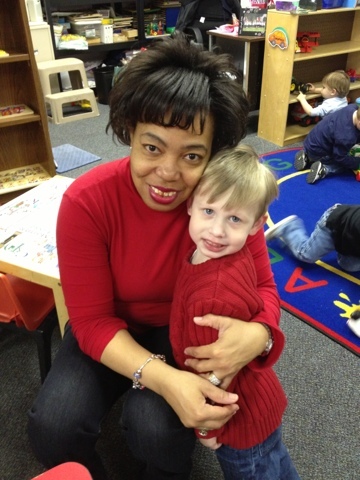 I grabbed this picture when I watched from afar Bennett's teacher (whom we love) grab him and spontaneously love on him when she didn't know I was watching. Bennett loves his teachers!! Both teachers are so tender, genuine and thoughtful. They have such a gift with the little ones (and an amazing amount of patience and energy). We are so thankful they love our boy as much as we do! !